Corrine Leda Krebs, 89, passed away peacefully on Thursday, April 26, 2018. She was born on June 2, 1928 in Aberdeen, SD and grew up in Orient, SD. Corrine worked for the Atomic Energy Commission prior to her marriage and relocated to Rapid City, SD in 1956. She married her husband, Mervyn, on September 22, 1958. Corrine loved her family and enjoyed traveling. Her travels brought her to Australia, various European countries, the Middle East and the Far East. 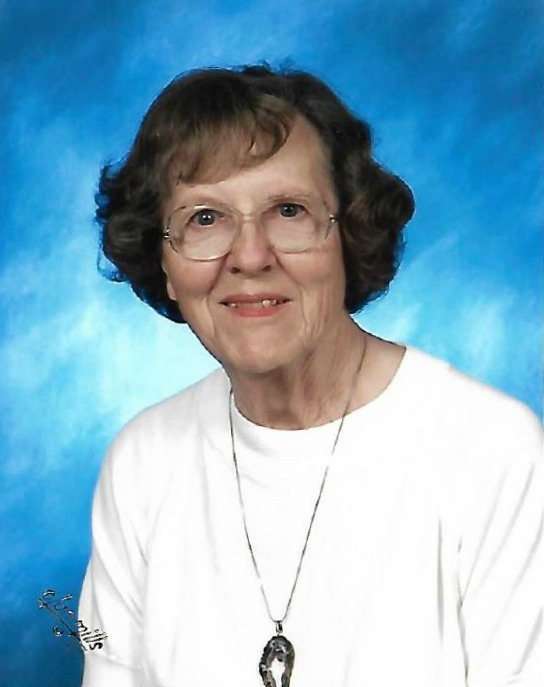 She was active in her church and community. She enjoyed reading and playing bridge. Corrine will be deeply missed by her loving husband, Mervyn; her children, Barry (Jeanette), Curtis, Jay (Sandra), Dianne (Greg) Lemmon; grandchildren, Nicholas, Rachel, Lauren, Katie and Adam; on great grandson, Zachary; and many nieces and nephews. She is preceded in death by her parents, John and Mary Cook and her younger sister, Marion Pappas. Funeral services will be held at Bunker’s University Chapel, 3529 E. University Drive in Mesa on Friday, May 4 with visitation starting at 1:30 pm and services at 2:00 pm. Funeral Services in Rapid City, SD are tentatively planned for Friday, May 11 but are pending at this time.